If you've ever lost your phone all you need to do is log in on another device and do that cool 'Find my phone' GPS thing, right? Well, wouldn't it be nice if you could do that with random items like your bag, keys, or kids? We've been testing the handy GPS tracker from Vodafone, the V-Bag. 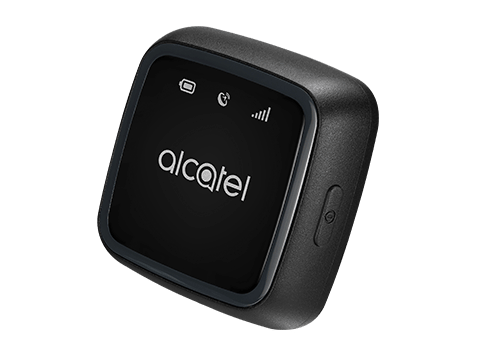 Well, we say "from Vodafone", but the actual device is an Alcatel MOVETRACK tracker. Vodafone have recently assembled a small group of trusted devices and started selling them under the V brand, such as the V-Camera (a Netgear Arlo cam), a V-Pet (Kippy pet tracker) and also a V-Kids Watch. Although the MOVETRACK is a do-anything, go-anywhere GPS tracker with a SIM card port, Vodafone has packaged it up as the V-Bag, intended to hook onto your bag so you can track it on your phone. So, how is this different to the many other device trackers we've reviewed before? 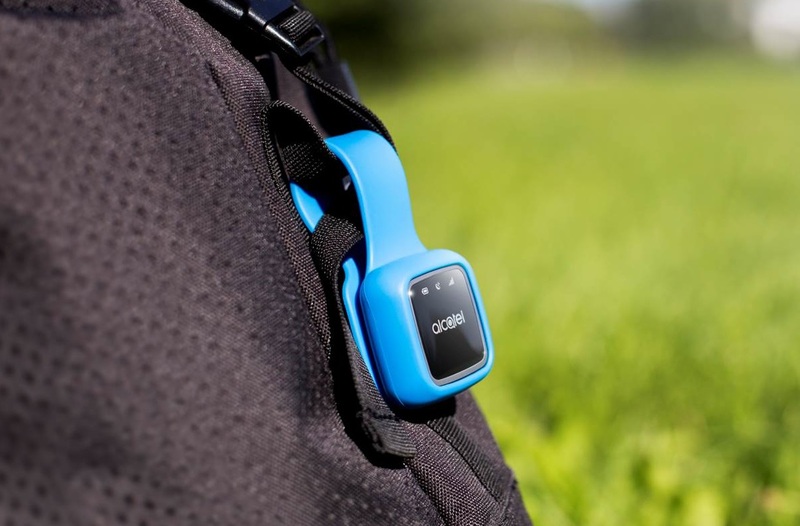 Well, unlike the likes of Tile and Chipolo which utilise short-range Bluetooth, the V-Bag uses GPS and a mobile data signal to transmit its location, meaning it can be tracked directly from anywhere in the world. This does, however, mean that the device is more expensive, and requires a monthly subscription to keep that data signal active. 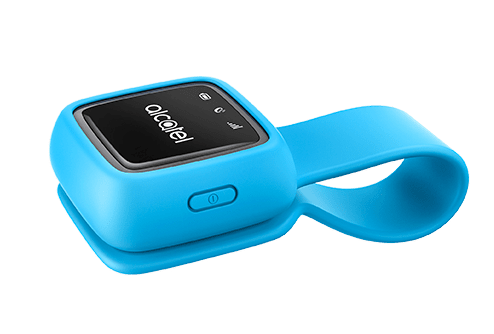 Still, the Alcatel MOVETRACK itself is refreshingly small and light, and charges via Micro USB. Set up is as simple as inserting a Vodafone V SIM card (just data) and pairing it with the V app on your smartphone. From then on you'll have a constant update as to where the tracker is, so long as it has battery power, mobile internet signal, and GPS. Although Vodafone call it the V-Bag, you could use this to keep track of just about anything. Included is a chunky blue rubber hook case to attach it to stuff (Vodafone use the image of kid's backpack, attached to the outside), but even stowing it lose in the bottom of your bag would be fine. Although Vodafone also sell a V-Car tracker, designed to be permanently hooked up to your vehicle, you could use the V-Bag for the same purpose, so long as it had enough power: we got about three days worth out of it, with fairly regular use. The really handy thing about the tracker, and the connected V by Vodafone app, is the ability to set safe zones. You can set in the app where you expect and allow your bag (or whatever the tracker is attached to) to be, and if it moves out of those zones you get an instant alert. So if you secrete it on or in your child's school bag, you could set it to tell you if that bag leaves the school grounds at any point. So yes, you can effectively spy on your children. 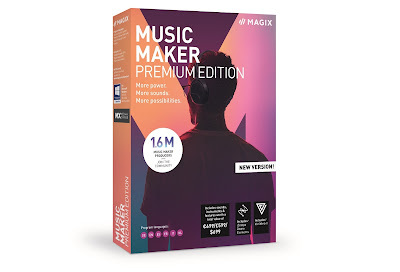 Or your partner. What fun! Of course, small GPS trackers that can be easily hidden in a person's belonging are always going to raise moral questions, which is why Vodafone are no doubt keen to stay on the 'this is for your bag, guys' line. Although we've had problems as private customers of Vodfone in the past, we have to admit that their current UK data reception is fairly flawless. We've had full 4G in the middle of the North York Moors, and every time we sought out the tracker's location, we got it, in just a few seconds. It might not be their device (and full marks to Alcatel for the MOVETRACK's use and functionality), but the Vodafone V-Bag is a very handy thing. It might cost three times that of a Bluetooth tracker (and be three times as big), AND you'll have to set up an account with Vodafone for the £3 a month data charge, but for peace of mind it is very good.